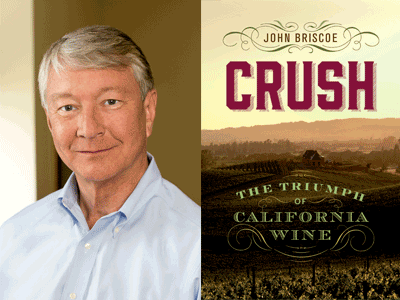 San Francisco-based environmental lawyer John Briscoe shares his engrossing new book, Crush: The Triumph of California Wine. Crush is the story of how wine from California finally gained its global due. Briscoe recounts wine's often fickle affair with California, now several centuries old, from the first harvest and vintage, through the four overwhelming catastrophes, to its amazing triumph in Paris.